GSI Mid-Atlantic, Inc. was founded in 1999 as Green Services, Inc. A growing business combined with the need to update our image, resulted in a company restructure in 2014 that changed the name to GSI Mid-Atlantic, Inc.
We are a small business dedicated to providing premium sampling services to the environmental industry. GSI deploys only recent model genuine Geoprobe direct-push machines equipped with an unprecedented level of tooling to meet the subsurface information requirements of any project in a wide variety of site conditions. We are committed to raising the standard of service and utilization of new technology within the sampling industry. We invest in manufacturer and industry training at every opportunity. 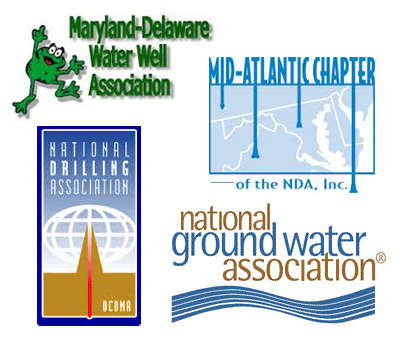 We are members of the National Ground Water Association (NGWA), Maryland Delaware Water Well Association (MDWWA), and the National Drillers Association (NDA). While based in Maryland, our location and licensing allow us to economically service a wide area including, including Delaware, Pennsylvania, Virginia, and Washington DC. GSI is serious about safety too. All employees have completed OSHA 40 hour training and have current 8 hour updates. Our staff has also participated in training for LPS, CSX, Amtrak, Rad Worker, CPR, 1st Aid, as wells as OSHA site supervisor training.